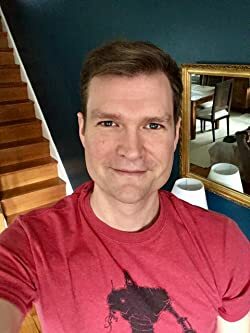 Josiah Bancroft started writing novels when he was twelve, and by the time he finished his first, he was an addict. Eventually, the writing of Senlin Ascends began, a fantasy adventure, not so unlike the stories that got him addicted to words in the first place. He wanted to do for others what his favorite writers had done for him: namely, to pick them up and to carry them to a wonderful and perilous world that is spinning very fast. If he’s done that with this book, then he’s happy. CLICK HERE FOR MORE STORIES BY JOSIAH BANCROFT. 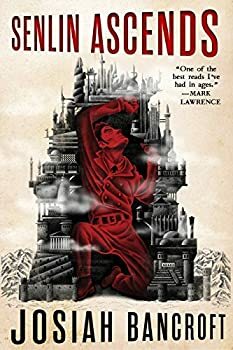 Two years ago when we were involved with Mark Lawrence’s Self-Published Fantasy Blog Off, Senlin Ascends (2017) was one of the books that didn't make it to the final round (so we didn’t get to read it then). But Mark Lawrence read it, started talking about it on the internet, and it got picked up by Orbit Books. Hachette, the parent company of Orbit Books, just recently produced it in audio format and sent me a copy. 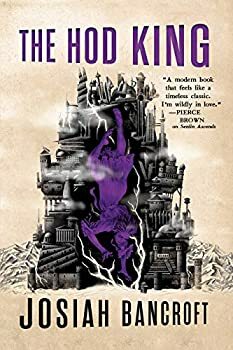 The Hod King: You need to be reading this series! 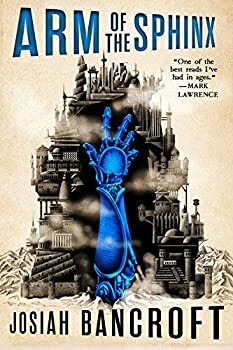 If you haven’t read Senlin Ascends and Arm of the Sphinx yet: Please stop here and go get them. I recommend Hachette Audio’s versions because they are absolutely brilliantly performed by John Banks. Read the rest of this review at your own risk — there will be mild spoilers for Senlin Ascends and Arm of the Sphinx in my review.